The Guiding Principle of the American criminal justice system is that all men and women are PRESUMED INNOCENT unless and until they are proven guilty by evidence beyond a reasonable doubt. That PRESUMPTION OF INNOCENCE means nothing if your loved one spends days, weeks, months and even years in jail awaiting his trial. Learn more about why you should trust North Country Bail Bonds to get you home below! Robert Winn and Lloyd Swartz are professionals who will work with you to make sure that your loved one does not spend any unnecessary time in jail while waiting for his case to be heard. We’ll Get You Home! 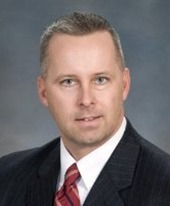 Robert Winn is the former Washington County District Attorney and a licensed bail bond agent. Call him at 518-788-2953 to discuss the bail bond process, including the costs and the speed of obtaining the release of your loved one. 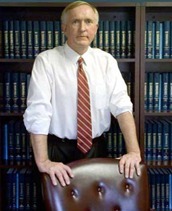 Mr. Winn is licensed in the States of New York and Vermont. Lloyd Swartz is a licensed private investigator as well as a licensed bail agent. He has nearly 30 years of law enforcement experience, as a uniform officer and investigator, retiring as a Captain for the Glens Falls Police Department. Call him at 518-361-1039 to discuss the bail bond process, including the costs and the speed of obtaining the release of your loved one. Mr. Swartz is licensed in the States of New York and Vermont.